Small business owners can use all the help they can get to be more productive. That's why Adobe created Adobe Scan: The free scan app that's making the lives of small business owners everywhere easier! 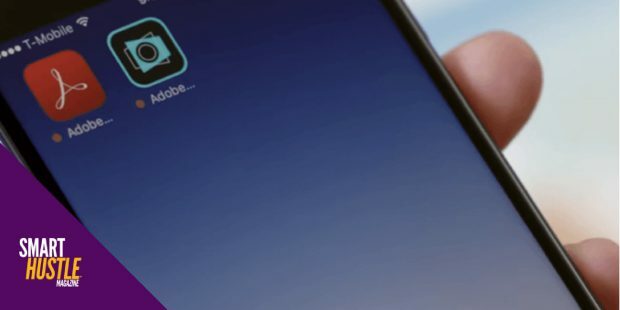 Want to learn more about Adobe Scan? In partnership with Adobe, join Smart Hustle Magazine's publisher Ramon Ray on August 2nd at 3pm for a Facebook Live chat on Adobe's Facebook page where he discuss productivity tips for business and more! Ramon will be talking about productivity and how the new Adobe Scan tool can help small business owners take back control of their documents and their time. You'll learn best practices and a ton of hacks that will help you save time! Join Ramon HERE on August 2nd at 3pm!